Glen Chilton was a Canadian when he started writing this book but now lives in Townsville and works at JCU. His main interest is birds and his first book, The Curse of the Labrador Duck, was about a crazy search for the last traces of a recently-extinct species. This time he criss-crosses the world to bring us tales about animals and plants in the wrong place, introduced deliberately or accidentally to new locations. 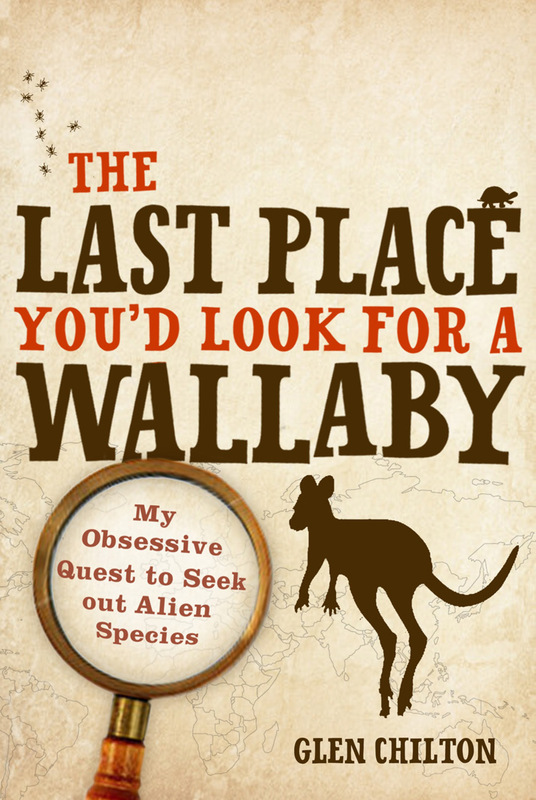 Australians know a fair bit about that sort of thing, of course – rabbits, foxes, cane toads, prickly pear and other pests have made sure of that – but the title story is about one of our exports: ‘the last place you’d look for a wallaby’ is on an island in the middle of Loch Lomond but that’s where the book begins. The wealthy, titled owner of the island released some red-necked wallabies there in the 1970s with a wildlife park in mind, and they survived and bred there quite happily without doing any great harm to the local environment. Most introduced species, however, experience a population boom or bust in their new location, often rather quickly. And if the new location is successful – from the point of view of the introduced species – the effect on the local environment may be positive, neutral or negative. Chilton tells us about all kinds of outcomes. Eucalypts are doing well in Ethiopia and are a vital resource to the local people; Pacific oysters are displacing local shellfish in the waters off Holland and elsewhere; Formosan termites are eating their way through New Orleans; Ruddy ducks from North America are interbreeding with a local Spanish species and may wipe it out unless current control efforts succeed; and so on. The take-home message is that introductions can have wildly unpredictable consequences and may well be disastrous so avoiding them is good sense. But Chilton doesn’t preach. Indeed, he wraps his expert knowledge in so much lively anecdotal material that his message is in danger of being missed. His style has been compared to Bill Bryson but it reminded me most strongly of Douglas Adams’ Last Chance to See – solidly grounded in the facts but, above all, readable and entertaining. 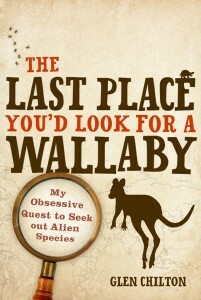 The Last Place You’d Look for a Wallaby was launched at Mary Who? Bookshop in Flinders St on 22 February and will be the subject of the next Book Club meeting at the same venue, in the second week of April; contact the bookshop for details if you would like to attend.